My final interview with a filmmaker was a pleasant surprise. I actually had an opportunity to screen her film during the submission process, and when I met her at the festival, she was more than gracious enough to sit down with me to talk about her film, Lex Talionis, which premiered at TVIFF this year. Anthony Pang | Let's start with the film's title. Tell me about it. 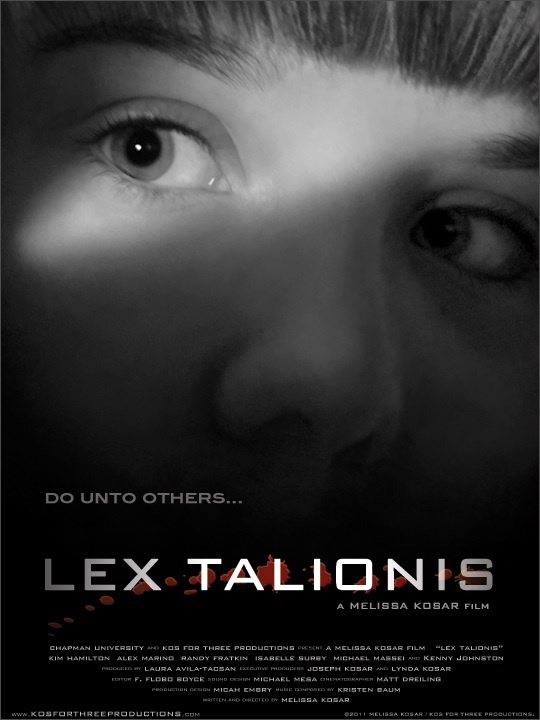 Melissa Kosar | Lex Talionis is Latin for "eye for an eye." I didn't want to call it "Revenge" or "Retribution," I wanted to be creative and wanted to make people think when they read it. AP | Well, it's a good title, definitely more attractive than "Revenge" or whatever. So, where did the film idea come from? MK | I wanted to write a revenge story that revolved around a female lead with an alter ego. I love psychological-thrillers and wanted to do a half-psychological, half-heavy drama. The different elements came together and once they did, it just snowballed from there. I do a lot of writing at night because that is when I feel most creative. 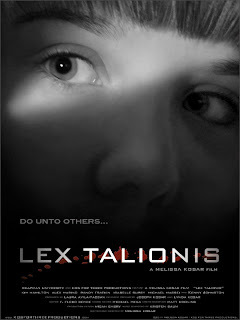 After I had my outline I began writing and four hours later I had Lex Talionis. It helps when you have different emotions and feelings helping to get the words onto the page. 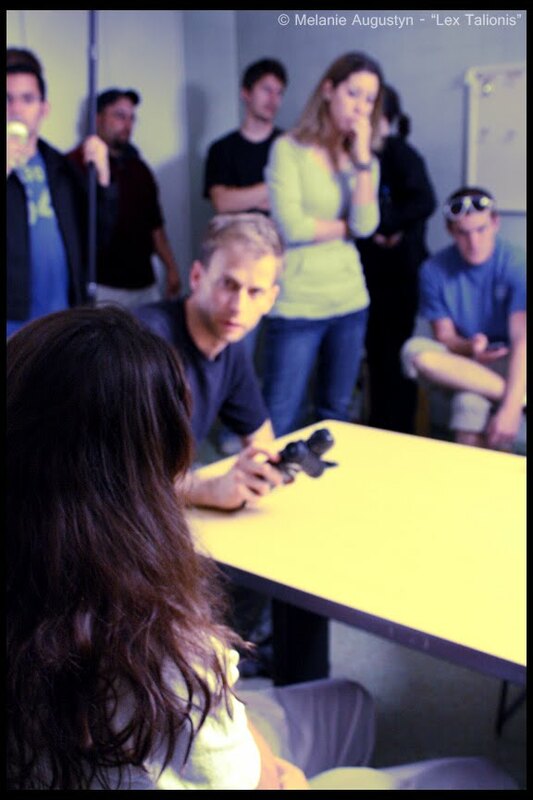 AP | What did you learn during the filmmaking process and what would you do differently next time? MK | I chose to do this film extremely late during my last year at graduate school as an independent study. I wrote the script in October of 2009, started pre-production in March of 2010 and shot it in April, one month before I graduated. It wasn’t a matter of needing credit, it was about having another opportunity to shoot a film before I graduated. There are always limitations doing a student film, especially that late into the curriculum. No matter what type of film you are making, a short, a feature or a documentary, there are many things to do and it can be stressful. Budget issues come up, time restraints, schedule conflicts, locations, permits, equipment, etc. The one consistent thing I always learn from each film I do is to stress a little less the next time. Things have a way of working out, sometimes not exactly as planned but the job gets done. There is much to be said for a hard-working and talented crew as well. They are invaluable and it allowed me to focus on my responsibility as the director. Looking back now, it is hard to pinpoint one thing because you learn by doing. And you take each experience with you as you continue on your journey, and sometimes you can’t do anything but roll with it. AP | Fair enough. You talked about shooting on film. Now, that medium presents its own challenges. Any thoughts on that experience? MK | Yeah, again, being in school, the advantage we had was having the option to shoot on film. I knew I wanted to shoot it on film so we shot on Super 16 for this particular project. I didn't want to shoot this one digitally, I wanted keep it on film, just one more time before graduation. I knew it would be awhile before I would shoot on film again, so I figured, I might as well take advantage of this opportunity. Gail Duncan, our film rep from Kodak was so generous, she gave us a huge deal and helped us out tremendously with getting film stock and such. There's nothing like shooting on film, even with the times changing to digital. I think there's something to be said for [shooting digital], but I think there are still films that should be shot on film. You just have to look and see what the story calls for. Michael Mann is one director who I admire. For Collateral, he shot on both film and digital. You can't see the skyline at night if you shoot on film, it's too dark, so that is one example where he shot on digital. I didn't combine mediums on my film, but for me, it’s gaining knowledge and inspiration from other directors and other filmmakers that inspire me to do what I do and make the choices I make. AP | Besides that, what was the most difficult challenge and how was that resolved? AP | Talk about your approach to the filmmaking process. MK | I played basketball since I was five years old. I was recruited in undergrad to play ball and I was also a basketball coach. That helped me as a director because you have to delegate responsibility; you have to rely on a team to do what they do best. So, that whole aspect helped set me up as a director to get all those elements to work. I approach filmmaking as I do a coach. You have to know your cast and crew, the different personalities, being able to delegate responsibility, and being able to answer all the questions that come to you like rapid-fire. You can't shut down, you have keep the ball rolling. I attack it like a basketball game, everybody has their responsibility to make sure everyone is doing their job to their best potential, and you create that team to the unified outcome. And depending on what genre I'm shooting or depending on what the film is, of course, I'll take liberties with how I'll approach it. The main thing is keeping everybody on the same page. Making sure at the end of day the voice you want represented is heard and the story comes out the way you envisioned in your head. AP | You're the second straight interviewee to answer with the sports team analogy, very interesting. Switching to your film, Lex Talionis, how has the response been so far? MK | The response has been great. We got into three film festivals, so far, and we have a screening next month for the LA Femme Film Festival. I did show it to a couple people during the process just to get feedback. It is a heavy story with a lot of information in 15 minutes. People really dig the premise. 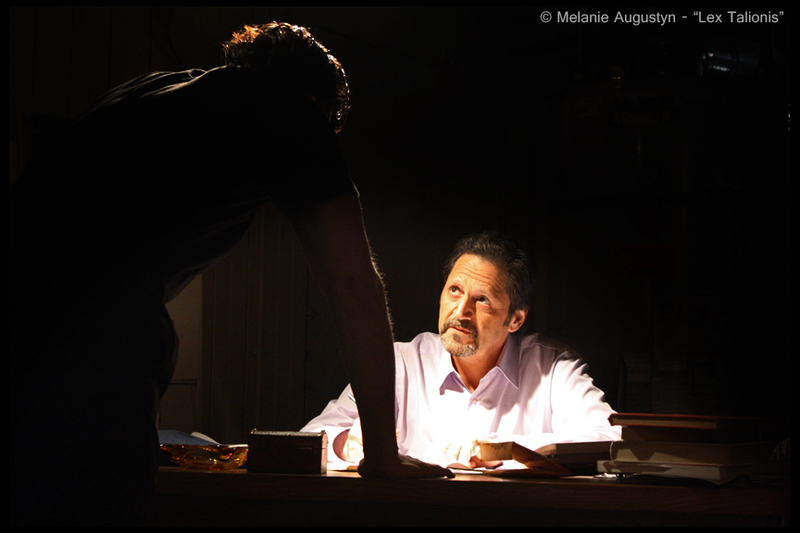 My whole goal for my film is to extend it into a feature and use the short as a tool to show the tone and visual style. The screening in Temecula was our premiere, some of my cast and crew came out to see it for the first time in its completion. It was great to hear their positive response to the film. I not only had a composer score the film, but also had Michael Del Palazzo of The Wake Effect allow us to use a track for the film. It was the first time he was ever part of a film and he was excited to see the finished product and was very happy to have been part of it. It always makes you feel good as a filmmaker when people who were a part of the project or are seeing it for the first time respond enthusiastically. I am always open to critique, I like people telling me the truth, but the reality is you ask 10 people, 10 people will do it 10 different ways. The most important thing is that I am proud of the finished product and I’m excited to see where the film goes and the prospect of turning it into a feature. AP | What advice would you give to young, aspiring filmmakers? What's one thing you would say to them? MK | The best advice I can give is that you really have to have a direction of where you want to go, really narrow it down, pick a field you want to get into and then go for it. A majority of the time it's a long, hard, difficult road. I'm the type that keeps fighting and never looks back, but that is what you have to do if you want it badly. You have to go out there and do it, get your hands dirty and make things happen on your own. The best thing anyone has ever told me was ‘no,’ it only made me work harder. AP | What is one of your favorite films? MK | There are so many films that I love and watch and get inspired by. There are two very specific favorite films, for two different reasons. First, Back to the Future II is one of my favorites and when I was in 7th grade I saw a behind-the-scenes documentary on the making of the film and that is what sparked my interest in film production. I thank my technology teacher for showing that in class or else I probably wouldn't be here today doing what I'm doing. David Fincher and Michael Mann are two directors I most admire for their style, storytelling ability and visual imagery. With that being said, Collateral is my favorite film. In my opinion, Mann hit that one out of the ballpark. AP | On a lighter note, have you ever ran coffee for anyone? MK | [laugh] You gotta pay your dues, you better believe I have. AP | Who was the first person you ran coffee for? Here's to Dir. Melissa Kosar and the hope for her feature! Read more interviews by Anthony Pang on Refine Films! Temecula Valley International Music & Film Festival black tie awards gala took place on Sunday, September 18th at Pechanga Casino & Resort. It was a wonderful evening filled with filmmakers, musicians, sponsors, programmers, and film enthusiasts. It was a great way to conclude the success of the 2011 festival. 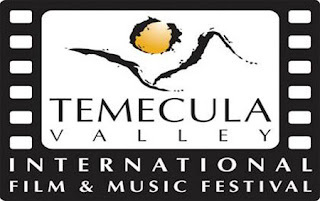 "The 17th Annual Temecula Valley International Film and Music Festival got underway at Temecula’s Tower Plaza on Wednesday night. Classic cars sponsored by Lance Haynes of Haynes Chauffeuring delivered aspiring film stars, directors and musicians to the red carpet festivities at UltraStar Cinemas." Read and see more pictures on the Southwest Riverside News Network HERE. and Cinematographer Matt Dreiling on the red carpet. 2011 Temecula Valley Int'l Music & FilmFestival!